Integrated CCTV surveillance systems that bring together the best of live video feeds and access control can help bolster both security and health and safety provisions on construction sites, experts believe. CCTV surveillance systems can help site manager fulfil their legal duty to know who is on their site and where they are at all times, which is especially important in the event of an emergency. This can be easily done by integrating a CCTV surveillance system with an access control system, ideally one supporting the direct use of CSCS smart cards – such as the ones supplied by our parent company, Tensor plc. Furthermore, CCTV system provides an extremely effective way of monitoring an entire construction site and allows the management team to observe activities in real time or via recorded data. 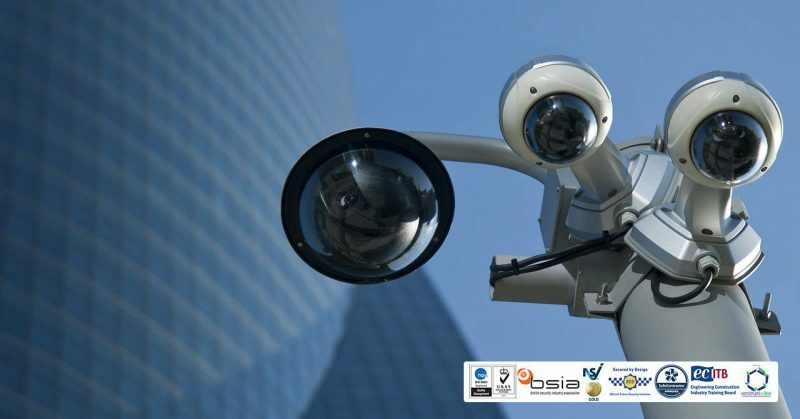 Apart from contributing towards improving site safety and security, CCTV footage can provide undisputed evidence with regards issues such as controversy around on-site accidents, aggressive behaviour, disputes, bullying, dangerous acts or omissions, theft, horseplay etc. To further secure your site, you could choose a CCTV system that includes an automatic number plate recognition (ANPR) camera. These cameras can be programmed to read vehicle number plates, only granting access to pre-approved vehicles. The camera is connected to an access control barrier, so that if any unauthorised vehicle attempts to enter the site, security will be alerted to investigate the situation. This allows access to the site to be continuously monitored and can significantly reduce on-site crime. CCTV Surveillance employs a variety of access control technologies in order to create advanced solutions, enable users to exert solid, reliable and accurate control over the access to specific premises or zones. The access control systems supplied by CCTV Surveillance also support an effective Fire Roll Call feature, which will enable employers to evacuate the personnel off the premises in a very orderly and clear manner, should a fire, explosion or some other type of catastrophe occur. If you’d like to find out more about the range of solutions supplied by CCTV Surveillance, both in terms of hardware (smart card readers, biometric readers, turnstiles, etc.) and software (access rights management software solutions, etc. ), just hit the contact button at the top of the screen, we’ll be more than happy to answer any queries you might have.